A sudden jerk or twist, standing up or bending over too fast, trips, falls, lifting, or exercising. These are common causes of a pulled back muscle, more commonly known as a muscle spasm or strain. The Bureau of Labor Statistics of the Department of Labor reports nearly 1 million musculoskeletal injuries of the low back, resulting in 6-8 days of missed work annually! These acute and sometimes recurring injuries can be extremely painful and downright scary. Knowledge is power and being able to deal with these injuries quickly or prevent them all together is the goal! What is a Back Muscle Spasm? There seems to be a great deal of confusion regarding what a muscle spasm is. The reason being that many different issues seem to be falling under the muscle spasm diagnosis. Muscle spasms of the back are far different than let’s say the spasm or a cramp of the calf muscle. The problem is that whether sitting or standing the muscles of the back are constantly working to support the spine. So when your back locks up you can’t just hop on to your other foot until it goes away. You’re stuck until the spasm dissipates. This can range in time from a few seconds, a few minutes or even a few days. All depending on the severity of the injury. When a muscle spasm of the back occurs. The affected muscles begin to involuntarily contract, creating pain and discomfort to the entire area, possibly even affecting other areas of the body. What Causes a Pulled Back Muscle or Spasm? The main causes of a pulled back muscle or spasm are pretty understandable. Either you moved in a way you’re not used to, moved too quickly, or attempted moving something too heavy. And quite often it is a combination of these. Basically, the muscles are either tight, weak, or sometimes both. 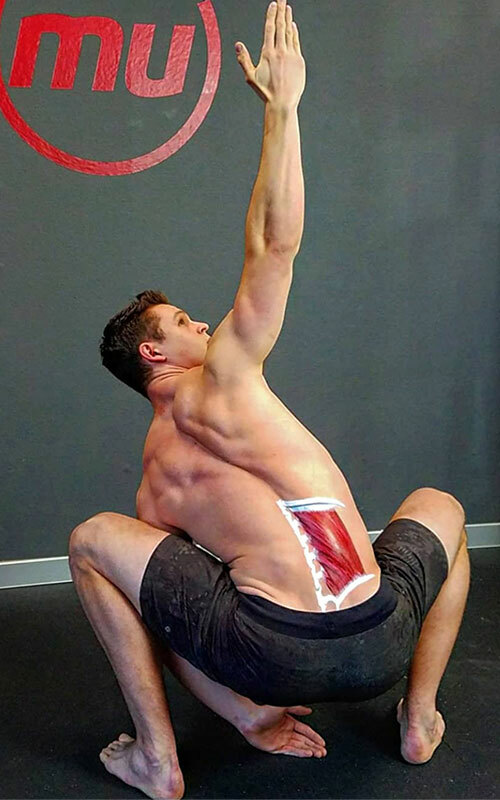 Additionally, muscle imbalances between opposing muscle groups — the psoas & quadratus lumborum or quadriceps and hamstrings for example — play a large role in back muscle spasms as well. Usually brought on by the hip musculature or pelvic positioning. The affected muscles are the glute or hip flexor complexes, along with the quadratus lumborum. These are the usual suspects involved with most low back pain including pulled back muscles and spasms. Check out our post on lower back pain and how to help it here. 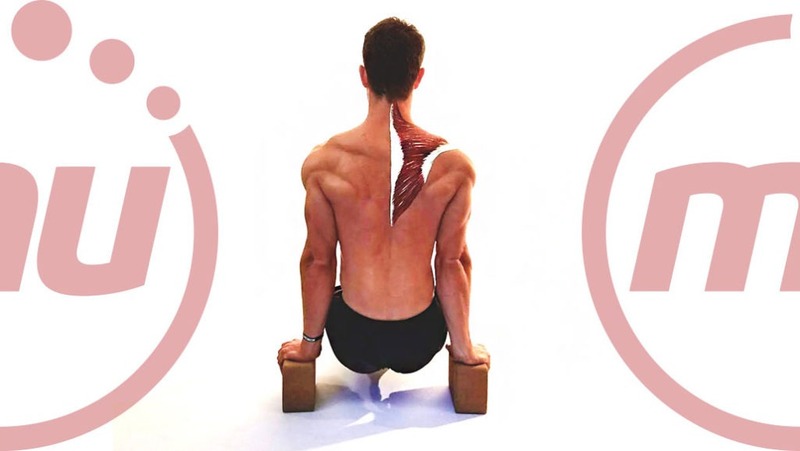 A muscle spasm of the mid back can have a few different culprits. The lower, middle or upper trapezius as well as the quadratus lumborum and possibly the spinal erectors. This is usually a less severe muscle spasm. It’s caused by muscles supporting the head or neck. These include the trapezius and levator scapula, resulting from a condition known as forward head posture. All treatable through correcting bad habits and poor posture. These usually manifest as pain when trying to turn the head, take a deep breath or lift your head off the pillow. All recommendations will depend on the severity and location of your muscle spasm. If you're feeling back muscle spasms in your lower back, the treatment to relieve that will be different than someone who's feeling a spasm in their upper back. Keeping the muscle cold will prevent swelling and possible edema (fluid build-up) which slows the healing and recovery process. Perform low-level exercises. Walking or light stretching will keep the area mobile and provided with optimal blood flow to speed recovery. After the initial injury alternating between heat and cold can provide tremendous relief to the area. When in pain we often take short shallow breaths which can prolong the symptoms. You want to use the muscles that are affected not rest them. By being focused on deep slow breaths you will actively engage your natural breathing muscles, a lot of them possibly involved in the pain. This can help by getting blood flow to the area. A simple self-massage or utilizing myofascial release tools like a foam roller, tennis or lacrosse ball can all prove very beneficial. Lightly stretching the affected muscles groups once the pain has subsided can remove any further tightness or discomfort. Most musculoskeletal injuries are caused by muscle imbalances and weaknesses. That simply means these are caused by poor posture and overall lack of body awareness. While it's impossible to avoid all injuries, learning how to hold and move your body throughout the day will ensure your risk of injury drastically decreases. Are you one of the 80% of adults who experience low back pain? Whether your back is currently flared up and you're reading this on the floor, or just dealing with a low-level nagging pain or stiffness, we can help guide you out of pain! Transform your pain into a powerful mind and body today with the MoveU Forever Fix Program. If you have any questions, feel free to leave a comment below or email us at info@moveu.com.